Last night a huge crowd gathered outside the Quirinale where Berlusconi was giving his resignation to President Napolitano. Berlusconi was welcomed by shouts of “buffoon”, “mafioso” and Resistance songs. At 21.42pm, when the news was officially announced, wild partying began, and quickly spread to other areas of the city centre. But…the party will finish soon. Berlusconi’s government has left Italy “in its pants”, as we say. To keep the promises made to the European Union, the new government will have to delve even deeper into people’s pockets. 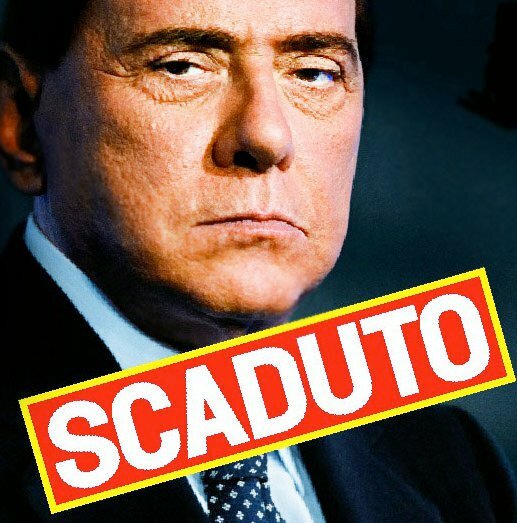 Growth, pensions, work and redundancy: ‘”liberalisation’” will be the hallmark of the post-Berlusconi agenda. It might be that an era has really ended, but in fact the reality that ordinary people will keep facing in their everyday life won’t change: a globalised crisis, in which the weakest and most vulnerable – precarious workers, people on pensions, etc – will have to pay the price. All this in the name of a so-called “growth” that, so they say, will restabilise worldwide markets (or back to “business as usual” but worse, we say). Even if Berlusconi has finally left centre stage, the struggle doesn’t finish. Now more than ever, that slogan we’ve been shouting and singing over the last few years – WE WON’T PAY FOR THEIR CRISIS! – needs to be shouted louder and louder. Italy responded enthusiastically to the call out for an international Occupy Everywhere day on November 11. In Bologna a huge crowd of students marched through the city centre and eventually occupied the Humanities Faculty (communiqué on my blog SOON). In Rome, once again protesters defied rightwing Mayor Alemanno’s ban on demonstrations and marched through the centre blocking the traffic. At the end of the day, several colleges were occupied. Other similar initiatives took place all over Italy, in Milan, Pisa, Padova, Turin, and so on. Various schools, colleges and university faculties have been occupied, and as far I know still are at the time of writing. November 17 has been called out as a day of international student mobilisations. Non-student based organisations and groups have joined in, calling for a strike. In Italy very different and diverse groups have answered the call out, from precarious workers groups to the NO TAV movement, independent trade unions, social centres. 26 people are under further proceedings and investigations for the events of December 14 2010, where a student protest against the introduction of the new Gelmini law in Rome ended in riots and violent clashes with the police. Sources: several articles from the always excellent site InfoAut.